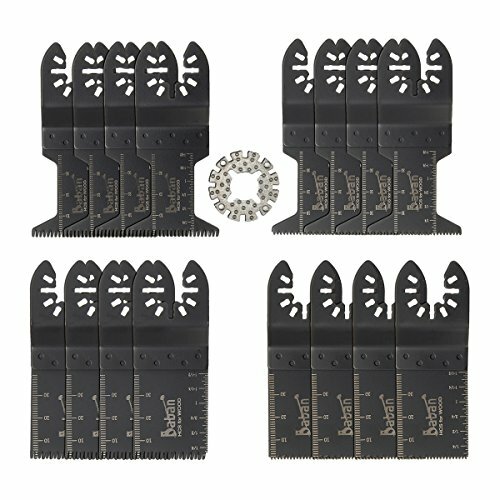 Ideal for flush cuts and cut-outs for switches, outlets, hardwood floors, base boards, trim and molding. The Platinum Blade Japan tooth blade will saw into corners and cut angles with precision. With sharp teeth, the precision blade cuts through laminated material without chipping and the large tooth design resists loading and improves cutting speeds. Use this blade for plunge cutting drywall for countless tasks such as installation of recessed lighting and ceiling fans. If you have any questions about this product by Baban, contact us by completing and submitting the form below. If you are looking for a specif part number, please include it with your message.